An 11-million-euro redevelopment of the old military docks in this northern Italian port city will destroy the pier where over a thousand Holocaust survivors went on a hunger strike in 1946 when the occupying British forces blocked their illegal ship from sailing to Palestine. The story of this ship – the Fede – and the hunger strike helped inspire the Leon Uris novel and the Hollywood blockbuster “Exodus” that starred Paul Newman as the Haganah secret agent who led the refugees to British Mandatory Palestine. Yet local historian Alberto Cavanna, who is 56, only discovered last year that illegal immigrant ships were fitted out in the dockyards where he worked for many years. The real-life ship the Exodus, which made its own voyage in 1947, had been fitted out at nearby Porto Venere before it set sail for France and then to Haifa, from where its passengers were sent back by the British to Marseilles. The real-life Paul Newman was Yehuda Arazi, who headed Haganah operations in Italy while the British were severely curtailing Jewish immigration to Mandate Palestine. With the help of left-wing Italian partisans, Arazi cared for and helped to spirit away many of the 75,000 Jewish refugees who flooded into Italy after World War II. One of them was 16-year-old Yitzhak Kaplan, who had survived the Holocaust when he fled deep into Soviet Russia. He and his sister were among the survivors who made it to La Spezia. When the British soldiers tried to drive them off the ship, the refugees pursued them down the pier, known as the Pagliari Pier, where they quickly formed a circle around the jeeps, dancing a wild hora, using the dance as a weapon. In his home in Haifa, Kaplan recalls that he watched Arazi with admiration even when the agent called a hunger strike to try to force the British to let the refugees set sail. The port side was sealed off by the British army but local people crowded around the gate offering support. Kaplan says he “will never forget the hunger.” In the bowel of the ship, people lay in their bunks motionless, staring into space while quietly contemplating what would become of them. As the British sealed the port off with tanks, the news of the Holocaust survivors’ plight made headlines across the world. Arazi sent radio messages to world leaders including U.S. President Harry Truman, informing them that the thousand survivors of Hitler’s camps were crowded into a small ship in an Allied port, besieged by the greatest navy in the world. It would have a major impact on American policy in the Middle East. Arazi hung a sign on the port gates proclaiming the place “the gateway to Zion,” and flew the Zionist and Italian flags side by side. On the fifth day of the hunger strike, Harold Laski, a senior member of the British Labour Party and the scion of an influential Jewish family, arrived. He tried to persuade Arazi to call the hunger strike off while he interceded on the protesters’ behalf. Arazi refused, informing Laski that the next morning 10 refugees would commit suicide, and every dawn 10 would do the same until the survivors were allowed to set sail. Finally Laski returned from London with news that the Labour government had agreed to let the ship go. Before the survivors left they celebrated a hasty Passover on the pier. After 45 days in La Spezia, in front of a huge crowd of local well-wishers, the survivors heard the whistle announcing the ship’s departure. A second ship, the Fenice, was brought in to ease the overcrowding. The Fede and the Fenice, now renamed the Eliyahu Golomb and the Dov Hoz after the two Haganah co-founders, finally set out to sea. But somehow this drama was forgotten in La Spezia until 1996, when journalist Marco Ferrari came across a story on the news wires of a concert in New York and Tel Aviv to commemorate the event. “I’m the son of a partisan and I’ve lived all my life on the left, but I had never heard people talk about the aid the partisans gave to the Jews,” Ferrari says. 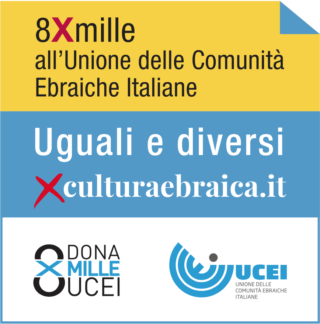 When Ferrari was the cultural director of the local council, he set up the Exodus Prize for intercultural cooperation, but he says that in recent years interest in the story has waned. Local activists in La Spezia are campaigning for a memorial to be put up at the marina, as they believe commemorating the story could improve the way Italians regard the vast number of migrants who have arrived in their country in recent years. In his large office with commanding views across the Gulf of La Spezia, Mayor Pierluigi Peracchini, of the first center-right coalition to run the city since 1945, explains that the until two years ago the Pagliari Pier had been a military zone and was now owned by the Port Authority. “My mother-in-law was one of those who helped the Jews and brought them food,” he says, adding: “You’re right to ask why this story isn’t being remembered here, and it’s close to my heart.” He then slips into his back office to make a call to the port authorities, emerging minutes later to announce that a competition will be held for a suitable memorial to be put up at the new marina. *This article was published in Haaretz on May 4, 2018.